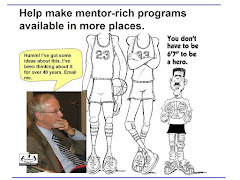 I've been hosting Tutor/Mentor Leadership and Networking Conference in Chicago since 1994. The first had 70 participants. The largest was in 1999 with 350. The last few have had 80-100. The one Friday may be lowest attended. 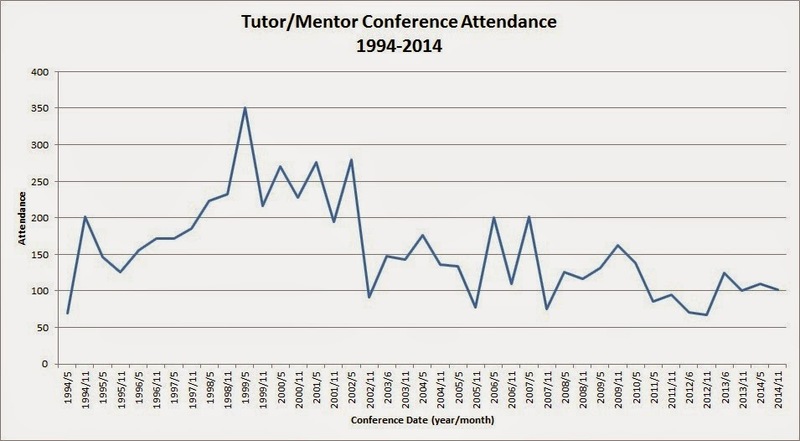 The goal of the conferences and the Tutor/Mentor Connection (T/MC) has been to bring people together to share ideas and learn ways to build and sustain mentor-rich support systems that help youth in high poverty neighborhoods move through school and into work. Since I began organizing conferences many others in Chicago, and around the country have begun doing their own events, focusing on the same problem, or different parts of the same problem. 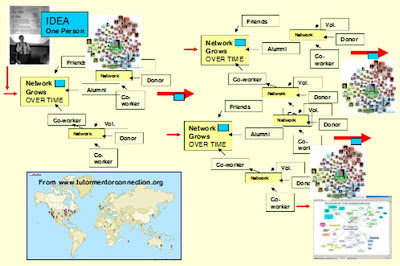 I've been trying to develop tools that would visualize and map participation in my conferences, to demonstrate that they should receive financial support, and to convince others to use the same network analysis in their own events. 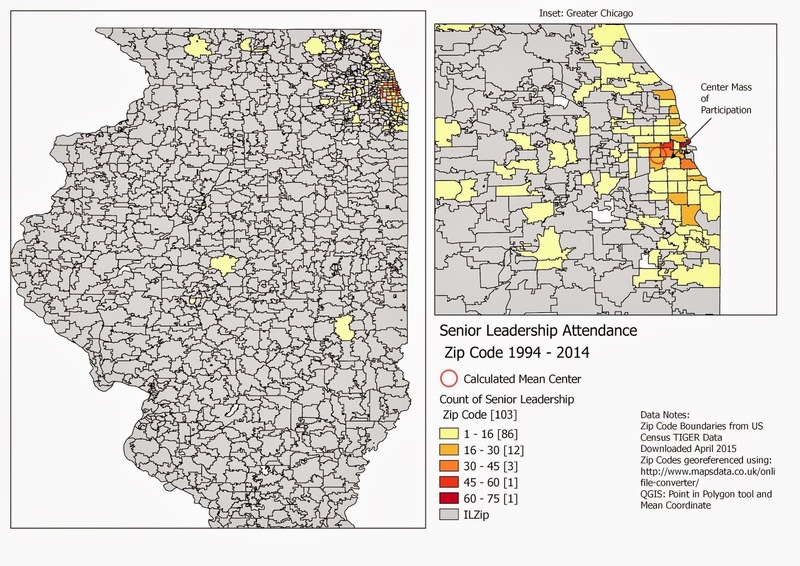 In 2010 a graduate of DePaul University created some maps and blog-articles showing participation in 2008 and 2009 conferences. You can see her articles here. 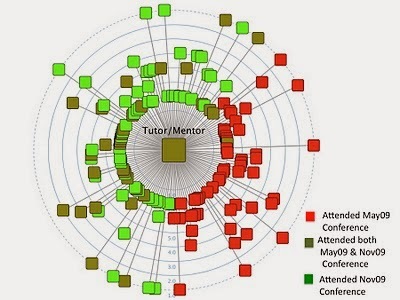 This spring a team of students from different parts of the country adopted the Tutor/Mentor Institute, LLC as their client in an Information Visualization MOOC (#IVMOOC) hosted by Indiana University. Here's the final report from the work they were able to do in such a short period of time. 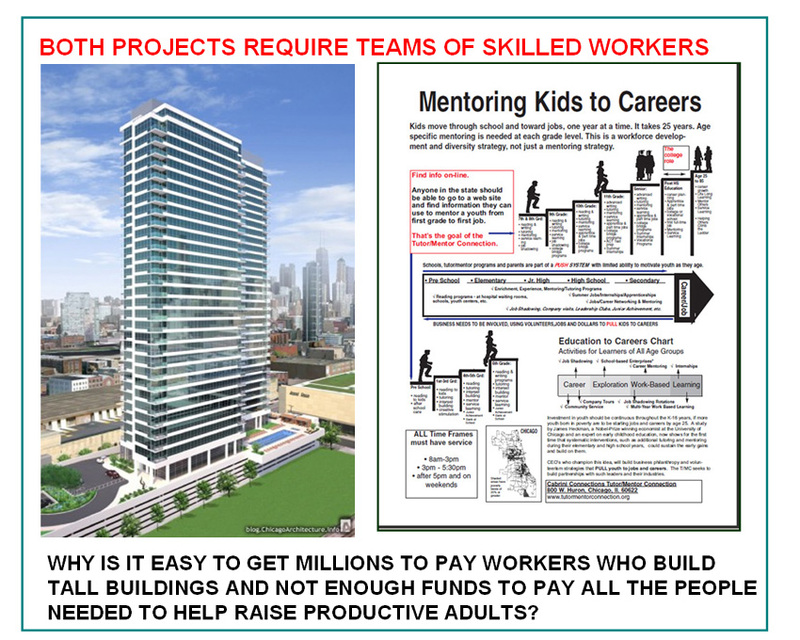 On this page you can see how goals for this project were communicated. The data for the past 42 conferences has now been cleaned, and while my IVMOOC team hopes to continue working with this, I'm inviting students/faculty from universities anywhere in the world to also work with this data. 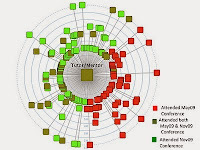 As the analysis of the 2008-09 conferences shows, you can look at this information in many different ways and create quite a few articles making sense of the visualizations. 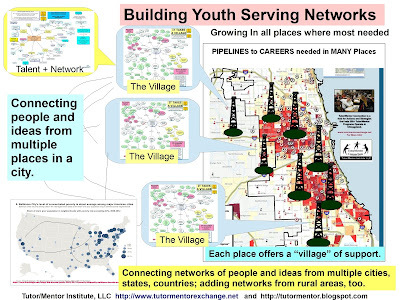 The IVMOOC team looked at this data from a spatial perspective, using GIS mapping applications, as well as from a social network analysis perspective. This demonstrates a wide range of opportunities for future researchers and writers. 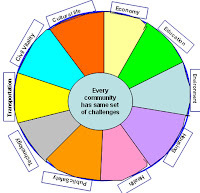 My goal is that as you do this you will convince others who host conferences and large gatherings that focus on poverty, race, inequality, workforce development, health disparities, etc. to apply these tools for their own events. Furthermore, instead of looking for organizers in Chicago, look for organizers in your own city. 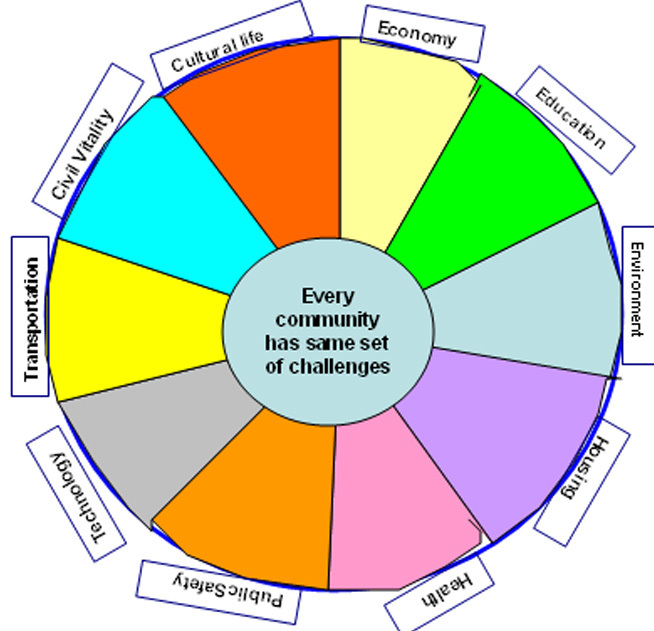 Imagine a web site where maps like these from New York, London, LA, Houston, Paris and many other cities who struggle with these same issues are aggregated, so that people who attend different events in each city can easily connect with each other, or can connect with people and ideas from different cities. Analysis of participation over multiple years should (hopefully) show show more people getting involved, and staying involved, and more support in a greater number of places where poverty is the root cause of many other problems. I hope this work inspires others to get involved with this work, and to share work they are already doing. November 2015 update. 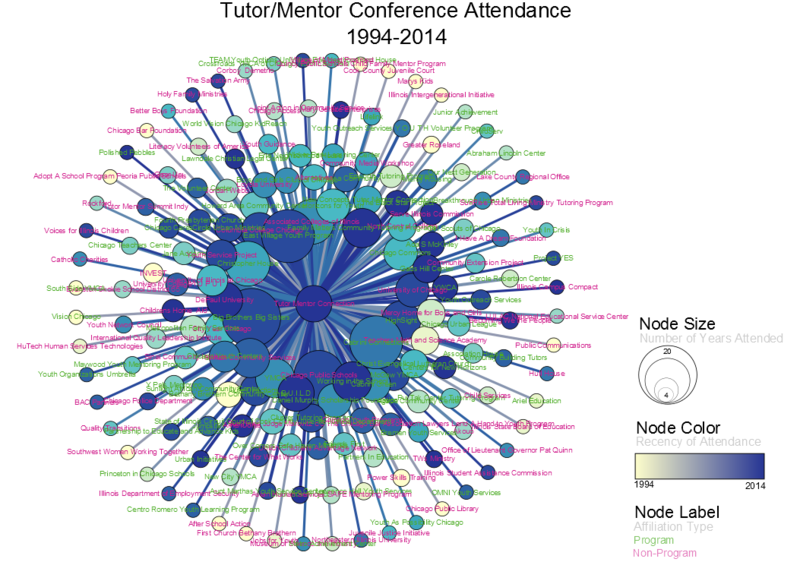 Another volunteer has looked at the conference data, and using a mapping tool called Tableau, has created a map showing participation in all past conferences. See it here. This has a lot of features that we're continuing to explore.